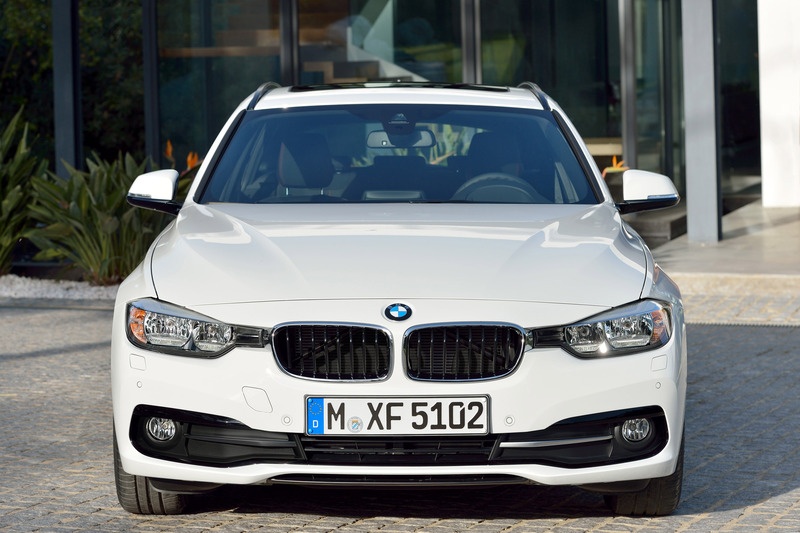 The BMW 3-Series is the founder of the modern sports sedan segment and has been fêted as an icon of this vehicle class for 40 years. 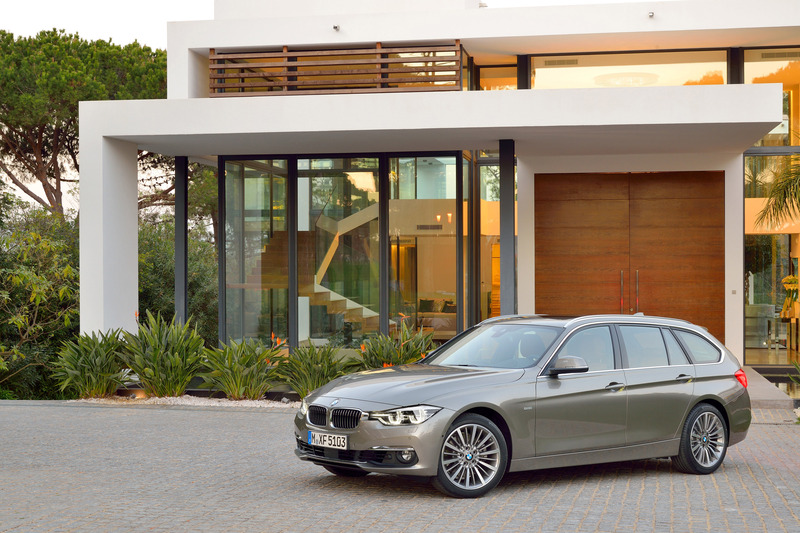 Over what is now six model generations, the BMW 3-Series has set the standard for dynamic excellence, efficiency and design, forging an emotionally rich connection between a sporting driving experience and unbeatable everyday practicality. 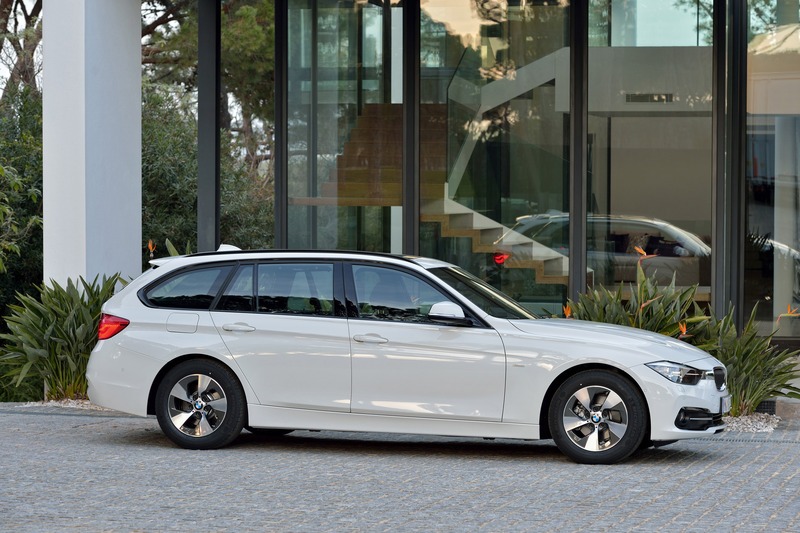 Around one in every four BMWs sold is a BMW 3-Series Sedan or BMW 3-Series Touring, which makes this model series the most successful in the BMW brand's line-up. Sharper design, even more advanced technology and cutting-edge engines ensure the new BMW 3-Series Sedan and new BMW 3-Series Touring are a more attractive proposition than ever before. 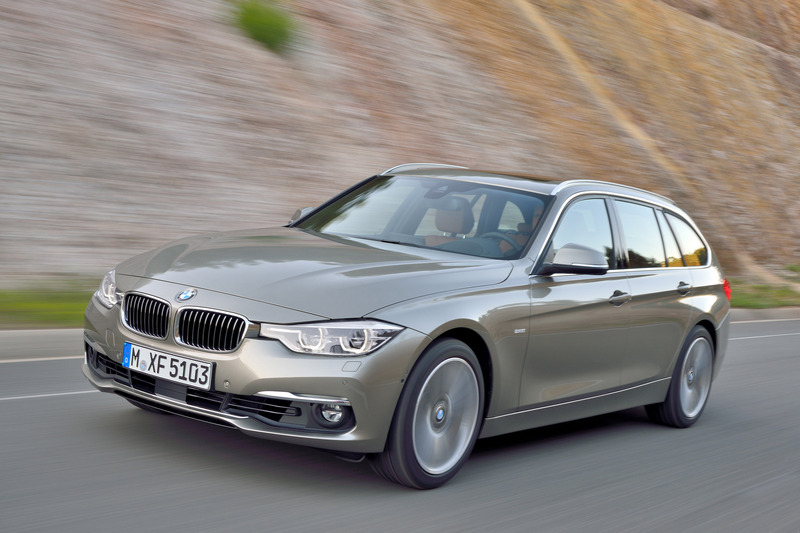 The new BMW 3-Series model range will be available with an extensive spread of engines from launch. Four petrol units and seven diesels are available, developing from 85 kW/116 hp to 240 kW/326 hp (combined fuel consumption: 7.9-3.8 l/100 km [35.8 - 74.3 mpg imp]; combined CO2 emissions: 185- 99 g/km). 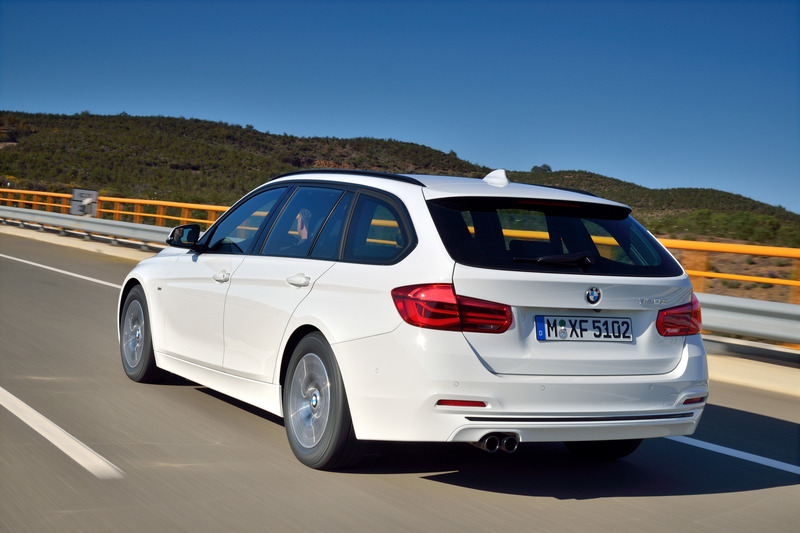 They can be linked up with a six-speed manual gearbox and an eight-speed Steptronic transmission (standard on the BMW 330d, BMW 335d and BMW 340i Touring). 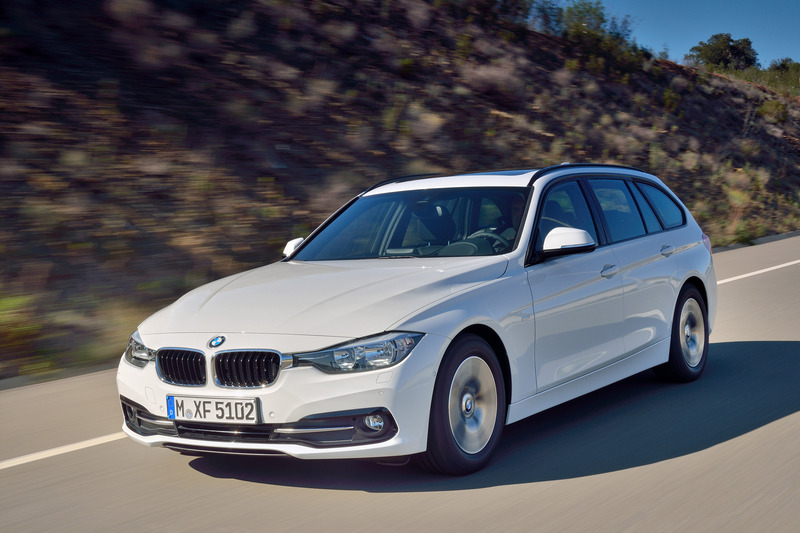 The new BMW 3-Series is available with classical rear-wheel drive or BMW xDrive intelligent all-wheel drive, depending on the model. 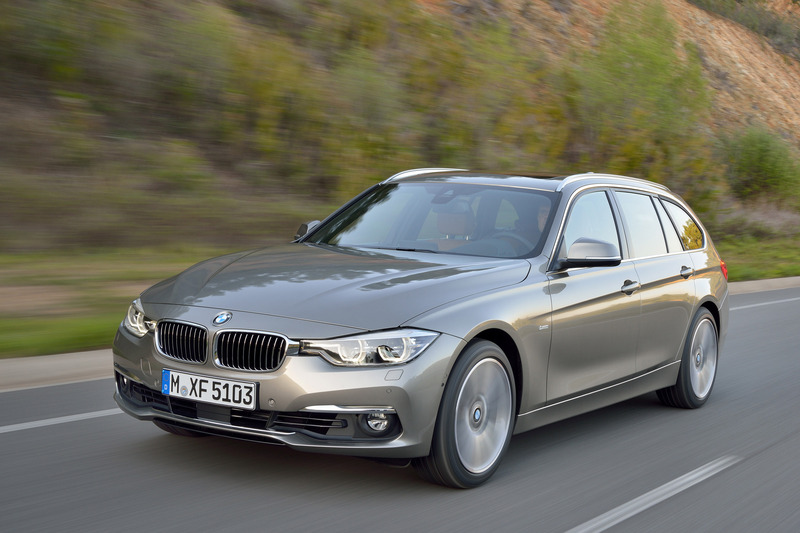 The design of the new BMW 3-Series stands out with even greater precision and various detail improvements. At the front end, new aprons with revised air intakes accentuate the feeling of width, while the sensor for the optional Active Cruise Control (ACC) is harmoniously integrated into the central air intake. The sculptural rear apron design, including a Line-specific trim element, and standard LED rear lights likewise emphasise the car's width and thus its sporting appearance. An innovative lighting concept, featuring newly designed headlights and striking LED daytime driving lights, underlines the car's sporty and powerful visual appeal. Full-LED headlights can now be specified as an option. The interior, meanwhile, makes an even classier impression with new materials and additional chrome highlights for the controls, air vents and central control panel. The newly crafted centre console with a sliding cover for the cupholders enables better use of the storage surfaces forward of the gearshift lever and takes the outstanding ergonomics of the BMW 3-Series to an even higher level. 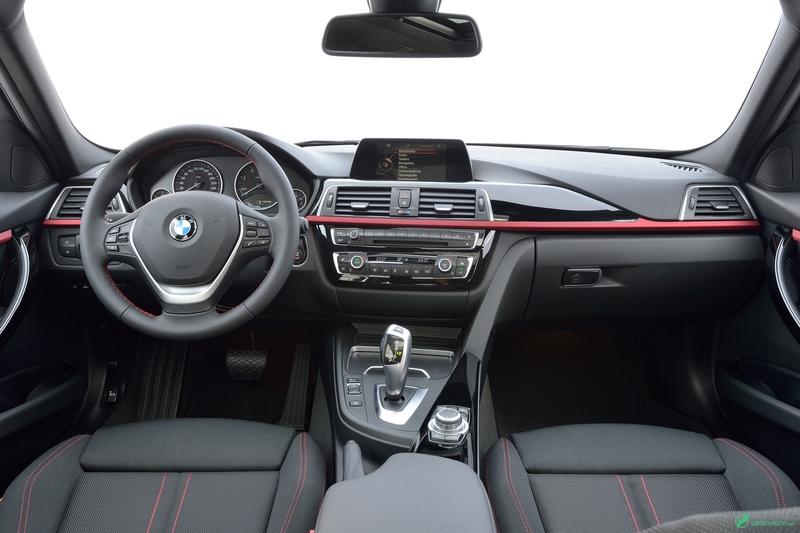 A wide range of personalisation options as far as upholstery and interior trim elements are concerned, as well as new wheels, exterior colours and equipment options, round off the specification choices for the new BMW 3-Series. 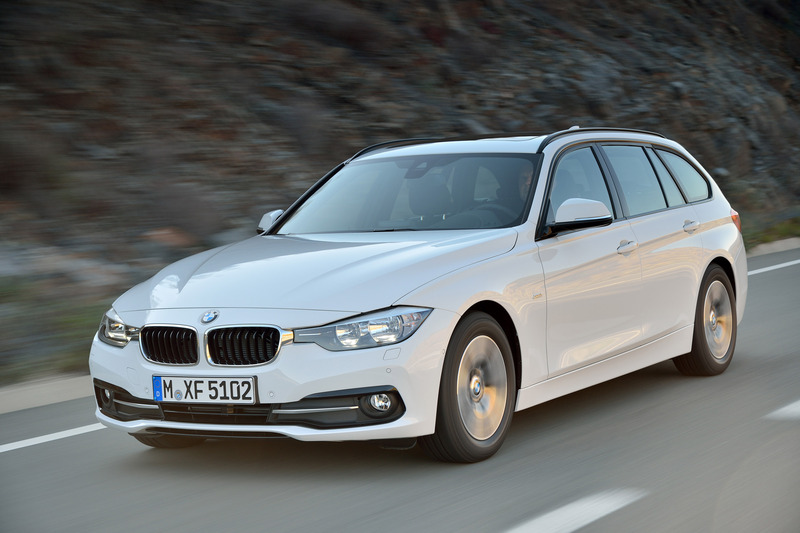 All the three-, four- and six-cylinder petrol engines for the BMW 3-Series model range and the four-cylinder diesel units in the BMW 316d, BMW 318d and BMW 320d are now sourced from the newly developed, modular BMW EfficientDynamics engine family. 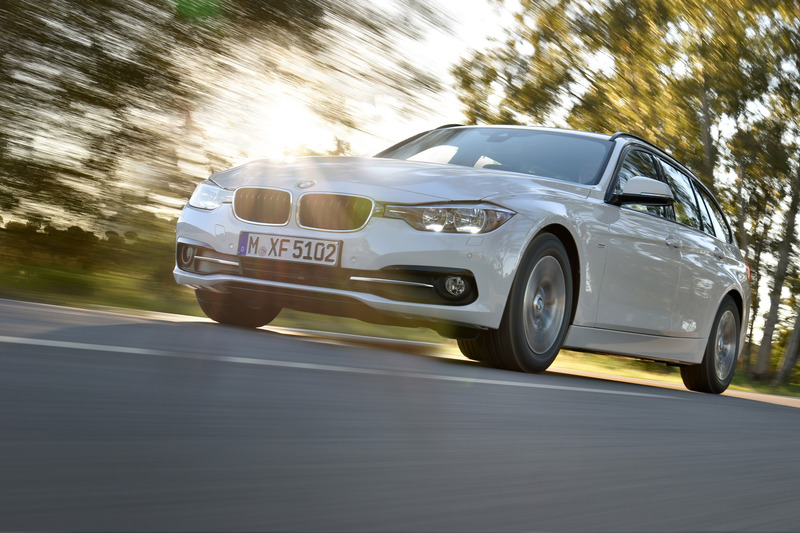 Features including revised turbochargers help give the new four-cylinder diesel engines even sharper responses, while the three-cylinder petrol engine is a new addition to both the BMW 3-Series model range and the segment as a whole. 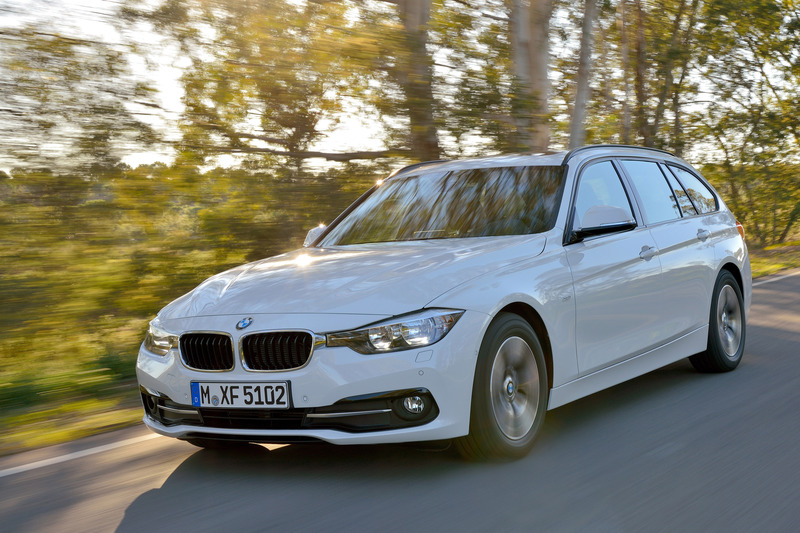 Making its BMW 3-Series debut is the four-cylinder petrol engine in the BMW 320i Sedan/BMW 320i Touring (combined fuel consumption: 5.9- 5.3/6.3-5.5 l/100 km [47.9-53.3/44.8-51.4 mpg imp]; combined CO2 emissions: 138-124/147-129 g/km). 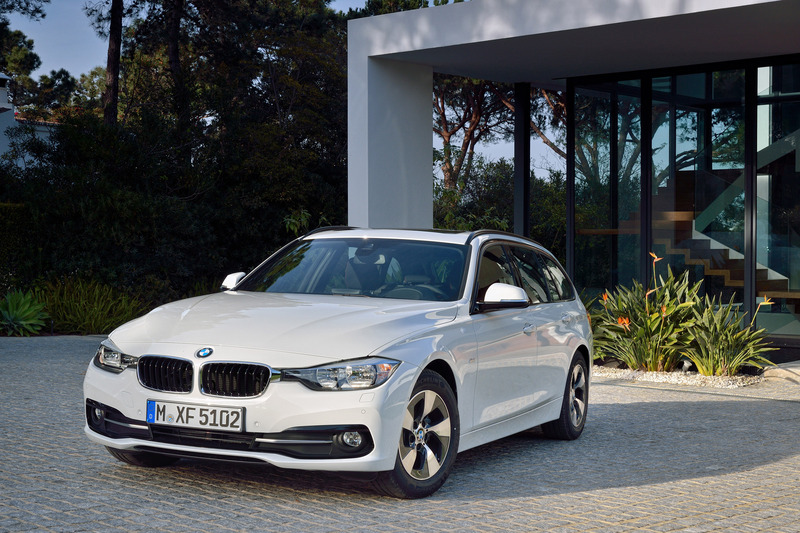 Celebrating their world premiere, meanwhile, are the four-cylinder unit in the BMW 330i Sedan/BMW 330i Touring (combined fuel consumption: 6.5-5.5/6.7-5.8 l/100 km [43.5- 51.4/42.2-48.7 mpg imp]; combined CO2 emissions: 151-129/157- 135 g/km) as well as the six-cylinder petrol unit in the BMW 340i Sedan/ BMW 340i Touring (combined fuel consumption: 7.7-6.5/7.0-6.8 l/100 km [36.7-43.5/40.4-41.5 mpg imp]; combined CO2 emissions: 179-152/164- 158 g/km). Despite their superior power, further improvements have also been made to the efficiency of the engines; fuel consumption and CO2 emissions are down by as much as 11 per cent. The new 320d EfficientDynamics Edition Sedan (combined fuel consumption: 4.3- 3.8 l/100 km [65.7-74.3 mpg imp]; combined CO2 emissions: 113-99 g/km) develops 120 kW/163 hp, yet emits just 99 g/km of CO2 when the eightspeed Steptronic transmission and standard tyres are specified. Indeed, the new transmissions also contribute to the increased efficiency of all variants. On cars specified with the six-speed manual gearbox, the engagement speed control function automatically blips the throttle on downshifts, for example. The eight-speed Steptronic transmission allows multiple sequential downshifts, which has a positive effect on smoothness and acoustics. The coasting function, meanwhile, increases efficiency by another notch. 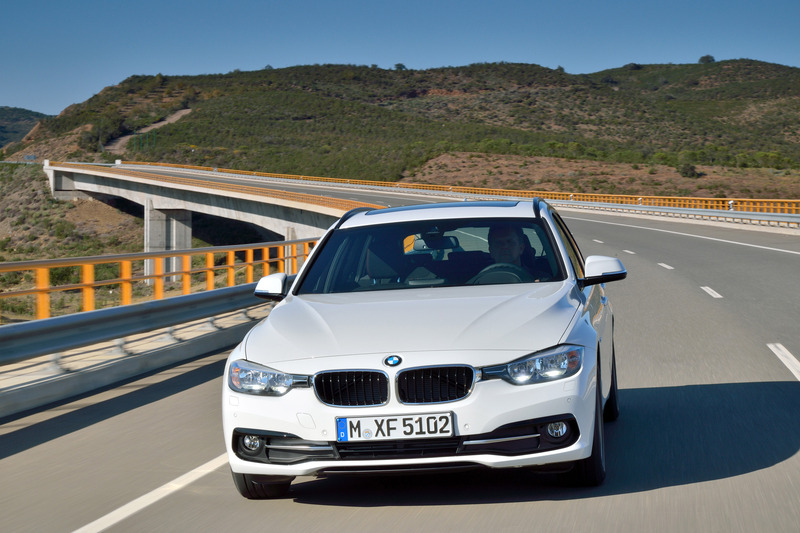 The further developed dampers, stiffer suspension and even more precise steering of the new BMW 3-Series ensure a clear elevation of the new BMW 3-Series' dynamic potential, combined with the same impressive ride quality as that of its predecessor. 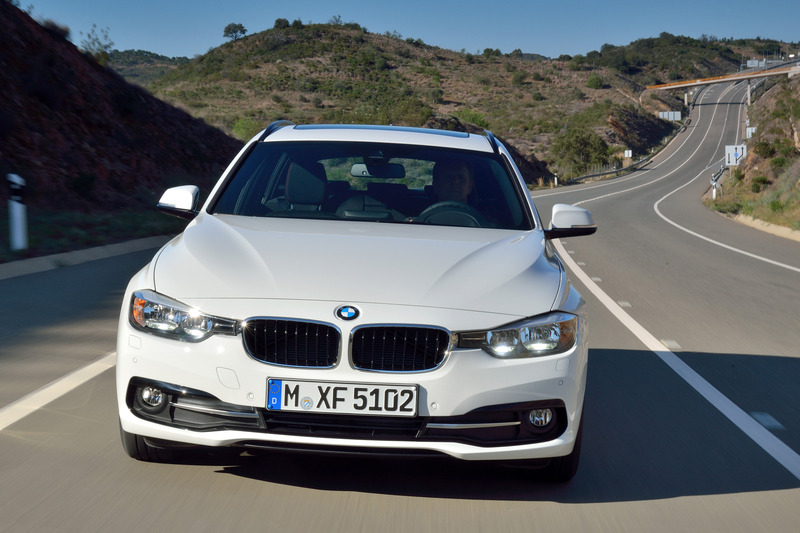 BMW plays a leading role in the link-up of driver, vehicle and outside world. Its BMW ConnectedDrive range of products and services offers a unique selection of web-based services and innovative driver assistance systems designed to enhance comfort and improve safety. For example, the full-colour BMW Head-Up Display in the new BMW 3-Series enables all relevant information to be displayed directly in the driver's field of vision, leaving the motorist to concentrate fully on the road ahead. The Navigation system Professional impresses in city centres, in particular, with quicker start-up, significantly faster route calculation and even more realistic 3D graphics. The navigation maps are automatically updated free of charge for a period of three years. In the owner's home region, the embedded SIM card allows these updates to take place automatically over the air via the mobile phone network. 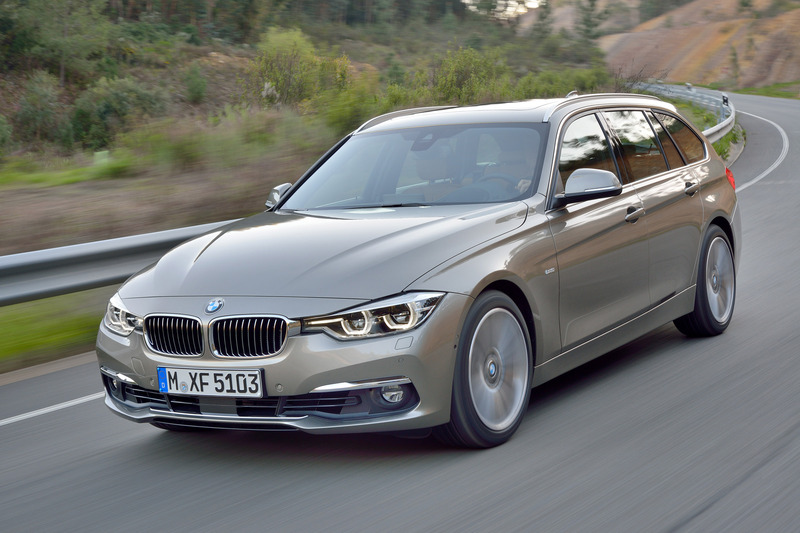 The new BMW 3-Series is the first model (depending on the equipment specified) in the premium mid-size sports segment to support the fastest current mobile technology standard (LTE). The Parking Assistant now enables automatic parallel parking as well, while Auto PDC also automatically activates the front parking sensors when manoeuvring.